Lens Description: This manual focus Micro lens is perfect for extreme close-up and general photography with continuous focusing from infinity to 1/2 life-size (1:2). Photography Life Review Summary: A great classic with impressive performance, especially when stopped down to f/5.6. CA levels are controlled extremely well and the lens is distortion-free. A great buy, especially on the second hand market. Performance is very impressive wide open in the center of the frame. Mid-frame and corners start out a little weaker due to field curvature, but the performance is restored to very good levels when the lens is stopped down to f/8. Center frame peaks at f/5.6 reaching excellent results, while the corners are the best at f/8. The lens did exhibit some focus shift issues, but they were not anything major like on some older manual focus lenses. 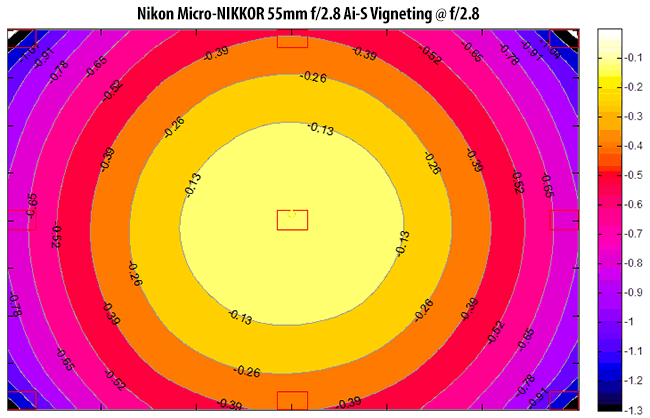 This lens is practically distortion free – very few Nikkor lenses are this good! Imatest measured a tiny bit of barrel distortion at -0.05, which is not something one would be able to see with a naked eye. Got a decent used one for 100$ ebay, compared with several of my about 15 lenses for sharpness at the widest aperture, it produced sharpest & most detailed image beating all even the modern one like 35mm f1.8G DX lens known as a sharp lens.Unless the subject is stationary it is not easy to use the Macro due to close distance and subject could get shadowing.Of course this is a Great Macro.Focusing is quite comfortable even though being Manual focus lens.Handling the lens is smooth.It is as good for general photography too forgetting the macro tag.A worthy must have lens for all those who love Manual photography.Using this on my Nikon D5200 camera. My wish for 40 years. It was too expensive. Buy it now as second hand. Thanks for running this test! I’m looking at your IMA test results, and thinking my 55 / 2.8 AI-S at f/11 would make an outstanding multi-row panoramic lens on my D810. Center, Mid and Corner are the closest at f/11, and (on paper) might prove the most consistent for stitching. I picked up this lens for a little over $100 on eBay, and it is quite simply the sharpest lens I have ever used, the results on both my D7200 and D850 are truly amazing. 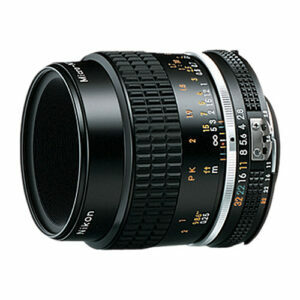 A must buy for all Nikon owners with a compatible body. I bought this on a camers shop used for 50 euros! Amazing lens, it never leaveds my camera.